McArthur Agriculture will work with the customer to ensure maximum return on investment. As the exclusive UK distributor for BoMill and the extensive range of JK Machinery grain cleaning and sorting equipment, McArthur Agriculture can supply machinery to fit your specifications exactly. 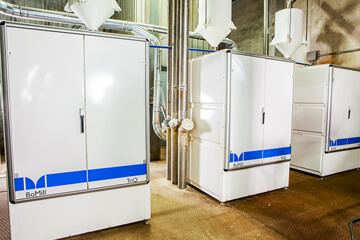 Browse our grain cleaning and sorting solutions below for more information. If you have any questions or are unsure which option is best for you, enquire using our contact form or call us today. 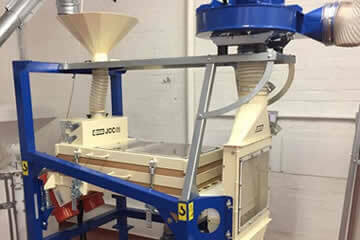 JK Machinery offers unmatched value across the range of compact cleaning, sorting and dehulling equipment. They have spent over thirty years developing their products, working closely with customers to provide machinery that matches the individual application. The BoMill TriQ’s patented grain quality sorting technology sorts individual grain by internal properties including protein and fusarium. It has a sorting speed of up to three metric tonnes per hour and has a modular design ensuring easy installation.